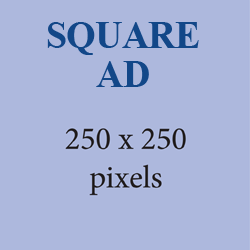 Below are specifications and rates for ad submissions in our newsletter and website. Website (norcal.shambhala.org): $75 for a one month period. Website (norcal.shambhala.org): $100 for a one month period. Website (norcal.shambhala.org): $50 for a one month period. 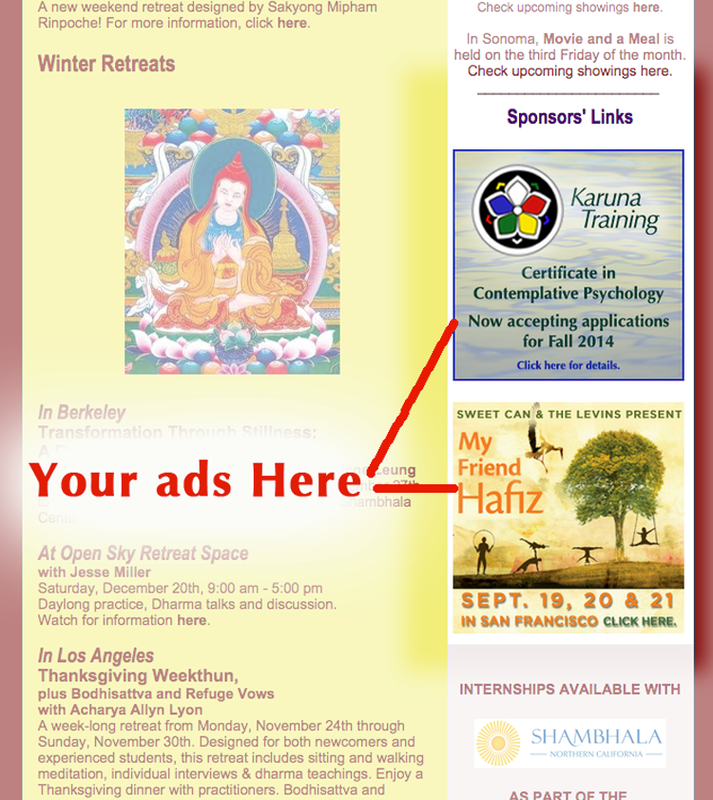 Northern California Shambhala can also design your ad for you if you provide an image and text for the ad. $50 per hour and minimum $50 per ad. Most ads shouldn’t take more than an hour to create. Suggest limiting the text to a title, location and date as these are sidebar ads that are just meant to catch someone’s attention and have them click on the ad. Newsletter ads will appear on the right sidebar of the newsletter. Vertical positioning will depend on newsletter content that month and is at the discretion of the newsletter’s editor. Website ads will appear on the right sidebar of the homepage and on the right sidebar of two subpages. 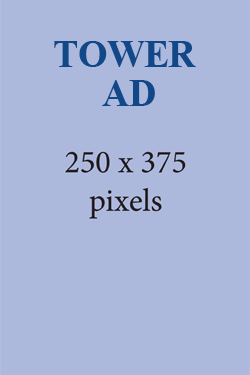 Ads are subject to rotations if other ads are running that month.